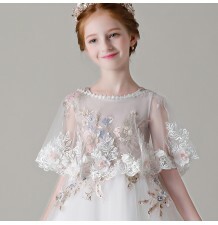 For your little girl's communion or confirmation, a wedding or another important ceremony, our collection offers fine flower girl dresses, embellished by embroideries or paillettes. 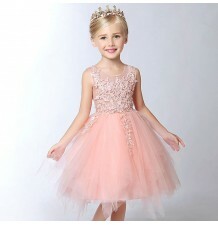 What a magic day for your little girl, that will live the dream to dress as a true princess. If you have a little niece of that age, it is also a magnificent gift she won't ever forget! 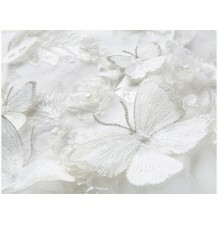 Brides can find in our collection the dresses for their damsels or flower girls, that best match their wedding dress. 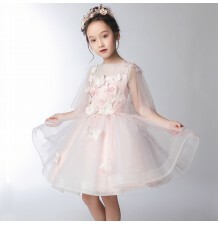 Our assortment of dresses includes various fabrics and colors and an ample choice of sizes from 80 to 160 cms (referred to the height of the baby). You can complement then the dress you have chosen with a bolero or a shawl and with the best matching hair accessories: headbands, hairpins or tiaras. 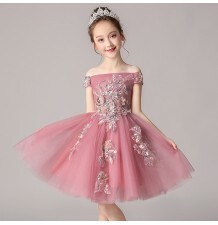 Our dresses are generally available for prompt shipment from our store located in Northern Italy; some styles may require 15 days for shipment. Some styles can also be customized to the sizes that you request. 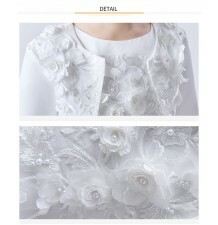 Elegant baby girl embroidered dress, suitable for a ceremony or an important occasion. Available colors: white, pink. 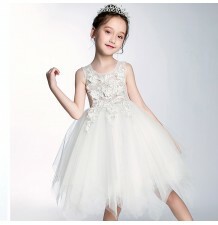 Elegant baby girl formal dress, suitable for a ceremony or an important occasion, available in different colours. 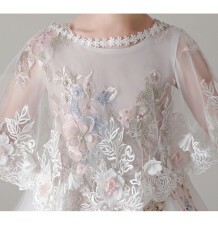 Elegant baby girl pink embroidered dress, suitable for a ceremony or an important occasion. 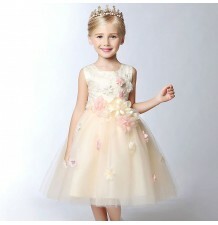 Elegant baby girl dress, suitable for a ceremony or an important occasion, available in white and pink-peach colour. 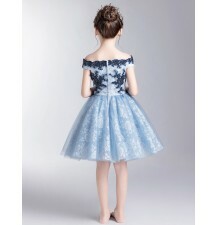 Elegant embroidered flower girl dress, light blue colour, sleeve length 1/2, suitable for a ceremony or an important occasion. 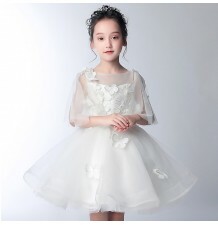 Elegant baby girl embroidered dress, suitable for a ceremony or an important occasion. Available colors: light pink, pearl-gray.